Kathryn Andrews continues to blow me away more and more with her phenomenally crafted writing that is beyond emotionally driven in such a way that is guaranteed to take your breath away from its sheer beauty. You just don’t read her books. You feel her books. When reading her first book, Drops of Rain, I was immediately taken in by the unforgettable characters, the highly emotional and feeling events, and their story that I literally could not get enough of. So I have to say I wasn’t surprised in the least to find that Starless Nights blew me away just as much, if not more than Drops of Rain did. Beau and Leila made my heart hurt, they made it race, and they made it fall head over heels in love with them from the very first pages I met them. Their story is one that I felt and connected with on such a deeply magnificent level, and I cannot even begin to describe to you how much I felt for these exceptional two. I don’t know if I have the right words to describe how beautiful and emotional and heart tugging this book was, but I am sure as hell going to try, because Kathryn Andrews phenomenal writing, story, and characters deserve that. The fire and spark of Leila. Leila is such a vibrant, colorful, and fierce female character. She literally lights up the page she’s on, and the spark and determination that she has within herself leaps off the page. She is the color to all the black and white, and you will love her for that unique vibrancy. That girl also feels with all she has, and you will love her for it greatly. All that spirit and tenacity she has will have you understanding her, feeling for her, and loving her instantly. That fire and spark sets her apart in the best and most memorable ways. Charming as all get out Beau. I fell in love with the charming Beau Hale when I met him in Drops of Rain. He won my heart over, again and again, and he never failed to bring a smile to my face. Stepping into his head was beyond thrilling, and it allowed me to just get him and love him more. Beau is so heartwarming, and he’s one of the most engaging character’s you’ll find. His character has so many varying and well developed thoughts and feelings that you’ll want to reach in and care for him and protect him from all the darkness of his world, all while falling under his magical spell that’ll have you loving him immensely. He is a serious gem of a male character. Questions of the past. This book is all about the why, the past, and how things came to be. Kathryn Andrews beautifully and thoughtfully weaves that past into the present tense of Beau and Leila’s story. The more and more you read, the more you find out what led them to their present. With each new chapter you get another piece to the puzzle, and I can’t rave enough about how intricately placed those answers to all those why questions are. Those pieces explain it all, and in the end when you have the whole picture and all the answers, you will just be blown away. The depth of love. Beau and Leila’s feelings for one another are magnificently deep. This is very much a second or third chance romance for them. With each chance they’re given you feel the depth of love and care they have for one another. You feel it in their thoughts, in the way they look at each other, in the inner feelings they have. Even when they make it hard as hell and even when they continue to get it wrong, that depth will have you believing in them with all you’ve got. It’ll have you deeply connecting with them and what they have, and it’ll just exemplify all they share together. The fight for it all. This book is very much about the fight for the happy that both these characters rightfully deserve. This author creates such exceptional ways for these characters to fight for what they want and need. These two go through so much, and the events of this book challenge both Beau and Leila to realize what it is they’re willing to fight for. Reading and experiencing that allows you the chance to understand them and their fight on a whole new level, and it will undoubtedly make you want to fight right along with them for that happy. The passions that make them who they are. Beau has tennis and Leila has designing. They both have such well-developed passions that really illuminate a lot about their characters. These passions brought them both to life, and showed a truly authentic and passionate side to them both. 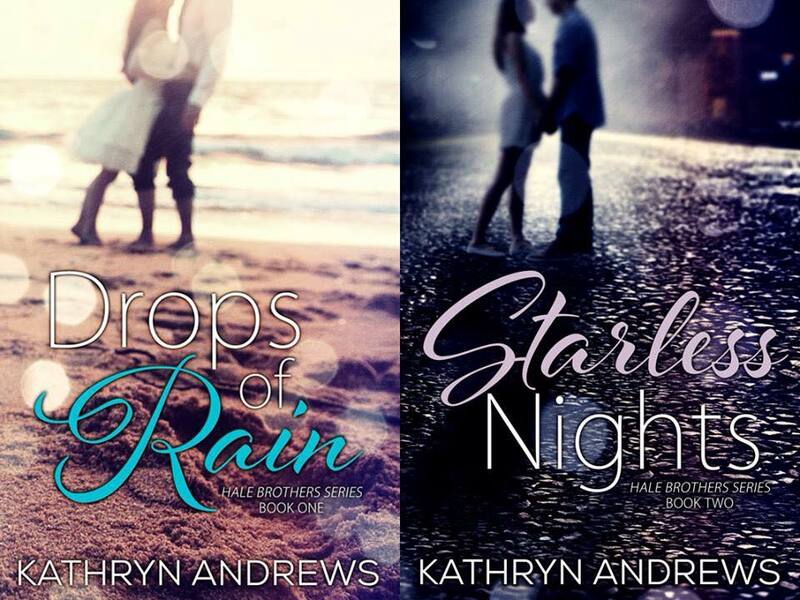 These passions were such an integral part to Beau and Leila, and Kathryn Andrews creates a world and a book where you get to experience those passions right along with them. A seriously emotionally driven book. Kathryn Andrews knows how to write emotions. She knows how to create a world and characters that have you feeling everything they’re feeling. You have the same emotions they’re experiencing, and you just feel it all with them. You will emotionally connect to these characters on a remarkable level, and you’ll fully understand all of their varied emotions. This is an emotionally driven read at its core, and that is what hit this book out of the damn park. The power of evolution. This book allows you the unique chance to see how these characters and their relationship changes over the course of years. You get to see them at multiple distinct times in their lives, and it’s an exceptional opportunity to see exactly how far they’ve come from where they started. This book gives you the chance to fully feel that powerful evolution with Beau and Leila, and their relationships with others. That evolution makes this book what it is, and I am in awe of the evolution Kathryn Andrews takes these characters on. It is simply superb. The supporting characters that envelop you in. This book is bursting with supporting characters that you’ll instantly be taken away with. Drew, Ali, Charlie, Nate, Camille, and everyone else will win over your heart with their unique and very distinct little selves. They bring everything together in such a wonderful way, and they are part of the sheer magic and beauty that is this book. And I promise you’ll love every single second you get to spend with every single one of them. The little things that really are big things. The little things added in so wonderfully to Starless Nights make the whole big picture that much brighter. These little things are incorporated in such subtle and beautiful ways, and they add up to something breathtaking. The star theme that permeates this book in a literally amazing way is beyond beautiful. The fantastic nuances of the characters that you see over and over again truly define their uniqueness. The vivid images and feelings that burst from the page. All of these little things and more combine in such an outstanding way that helps make this book truly unforgettable. The balance of it all. Starless Nights does an outstanding job of balancing every aspect, but especially the different times of moments that so fantastically come to the page. There are moments that will literally pull at your heart while bringing tears to your eyes, moments that will speed up your heart rate, and moments that’ll make your breath catch in an instant because of the level of emotion and vulnerability they contain. Other’s will bring a smile to your face, or a blush to your cheeks in the next instant. While some will have you feeling all the happiness and joy that’ll have you beyond thrilled at the warmth you feel. This book balances all of that exceptionally, and it allows you the chance to wholly experience it all. 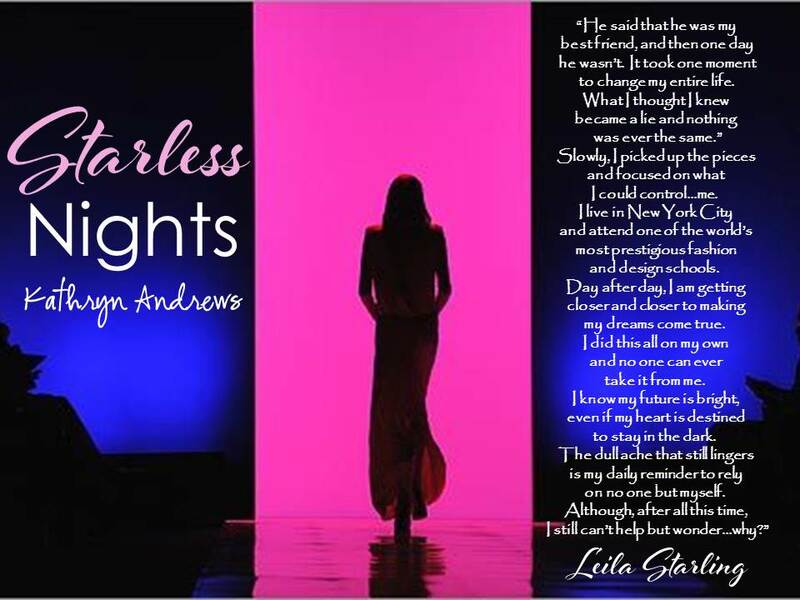 Starless Nights was a beyond beautiful and breathtaking book that I absolutely loved reading with everything I had. Kathryn Andrews blew me away yet again with her emotionally driven and thoughtfully crafted words. I really don’t have enough positive words for this book. This book was so, so very good. And magnificent. And breathtaking. And beautiful. And emotional. And fantastic. And just beyond exceptional. It was everything. It had everything. It made me feel everything right along with Beau and Leila. Beau and Leila’s story was everything I wanted it to be, and I couldn’t love those two more. Their story is full of ups and downs, twists and turns, but I guarantee that it’ll take your breath away with all of its magnificence. It’ll also have you knowing and believing in the sheer power and spirit of feeling and love. This book gets my highest recommendation because it truly has it all. It is an exceptional book, with extraordinary characters, and I for one am completely sold on it all. I seriously cannot recommend this book to y’all more so be sure to grab it today!! You will not be sorry!! I promise!